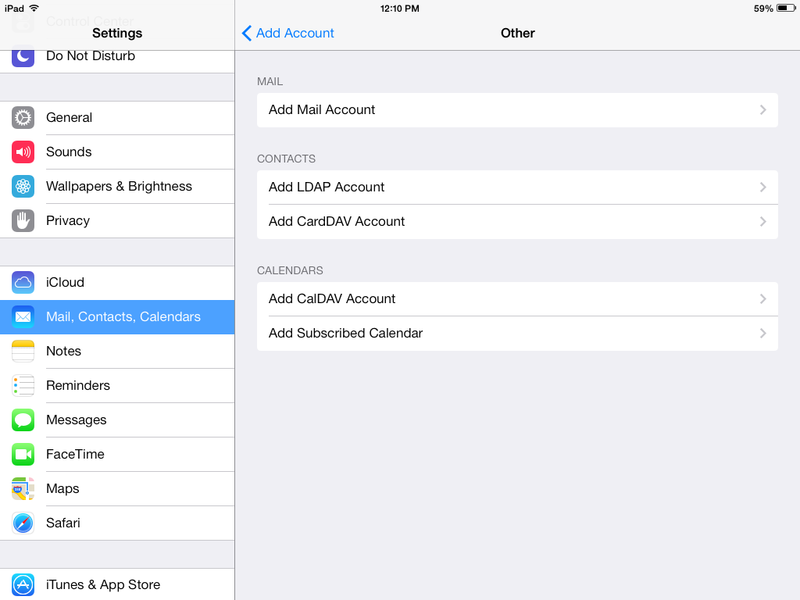 Here are the steps to set up email on your Apple Device. 1. 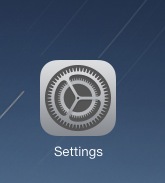 From the Home screen tab on Settings. 2. 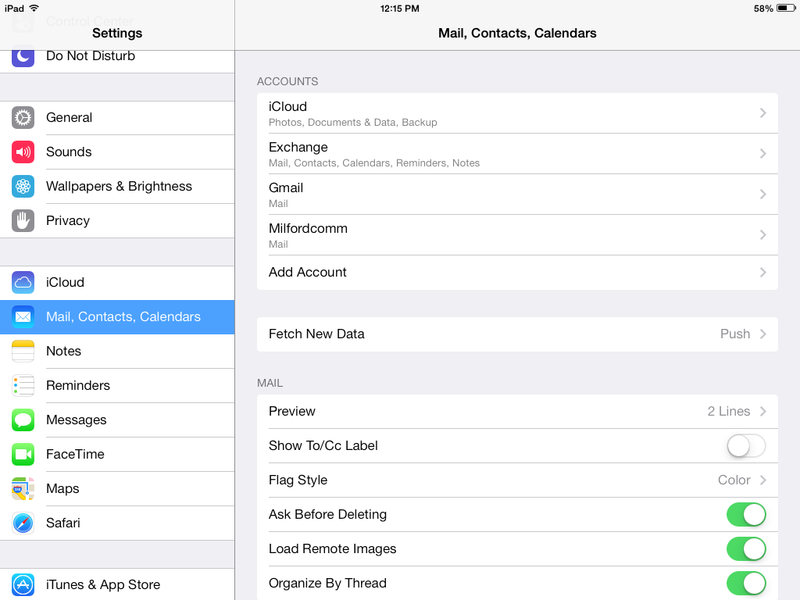 Under settings choose Mail,Â Contacts, Calendars. Then tap on Add Account. 3. Choose Other under Add Account menu. 4. Tap on Add Mail Account. 5. Enter your account information and tap on Next. 6. 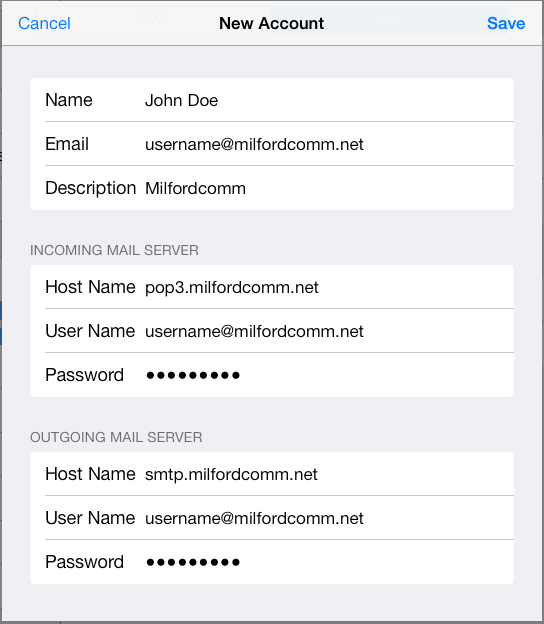 Fill in the incoming and outgoing mail server information. 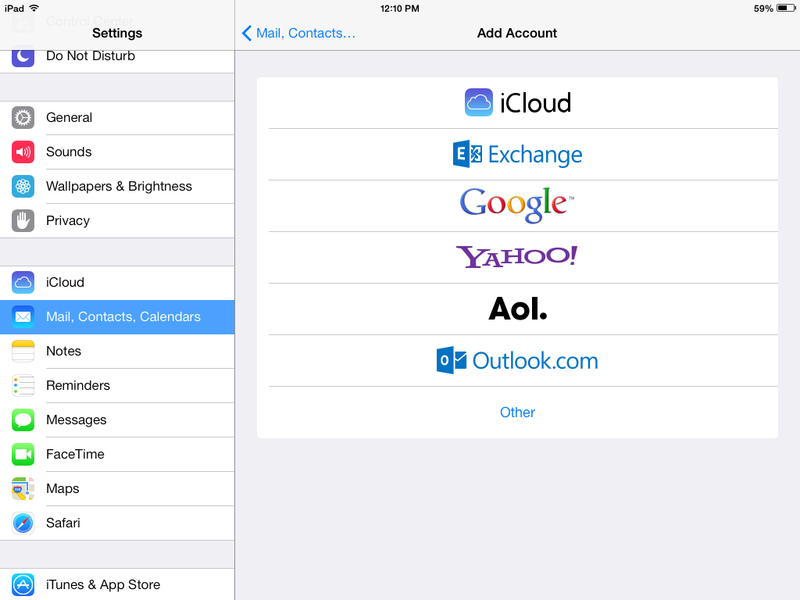 Use the full email address for the username. You will need to enter the full email address and password under the outgoing mail server even though it may say that they are optional. Once entered tap Save. 7. 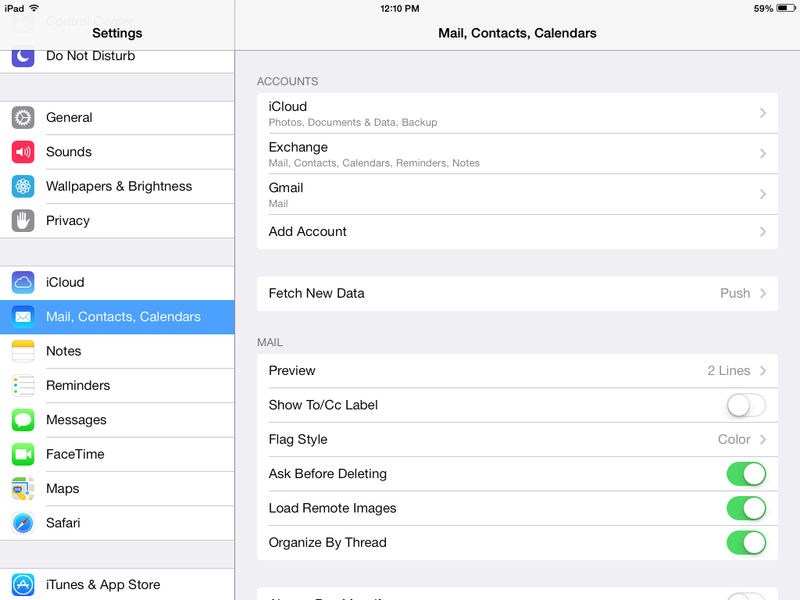 Your mail application will check to see if it can connect to your incoming and outgoing mail server. If successful it will create and save your account. 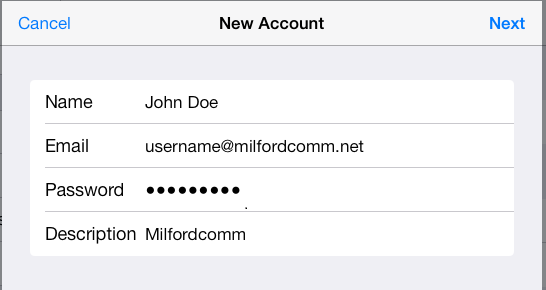 To edit the account in the future you can access it through: Settings –> Mail, Contacts, Calendars –> Select your Milfordcomm.net account.